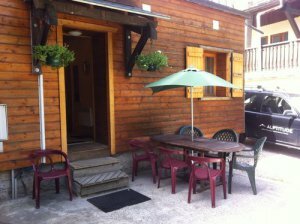 La Dranse is a newly refurbished three bedroom open plan apartment in the very heart of the old town of Morzine. It is extremely spacious and can sleep eight in total. 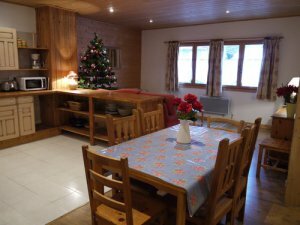 For the size and location of the property the apartment is priced really nicely at €945 per week during the peak summer season – less than £800 in real money. Situated overlooking the River Dranse, the property is a one minute walk from two major bus stops and also the fantastic bars, restaurants and shops of the Rue du Bourg. It is also very close to the main supermarket. There is a private patio at the rear of the apartment for BBQs and ample parking for up to three cars. There is a large internal boot room which is perfect for all your bikes and equipment. 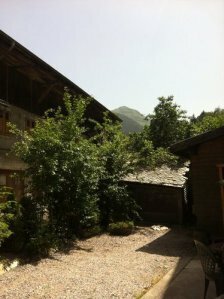 This property is perfect for either families or groups of friends looking for a central summer apartment in Morzine. For further details please click on the links above or you can simply contact us right now.